If you like meticulous tactical planning you should definitely check out our list of best strategy games on PC. Out now on Steam Early Access for £10.99/$15, Godus Wars lets you take control of one of four deities, each with their own abilities and powers. From here, you’ll go up against AI-controlled gods in a bid to take over the world, continent by continent in turn. As you take over parts of the land you’ll accrue Belief, which you can spend on more troops and form stronger armies. Combat was set to be Godus’ next big update, but it seems Godus Wars is the manifestation of this. 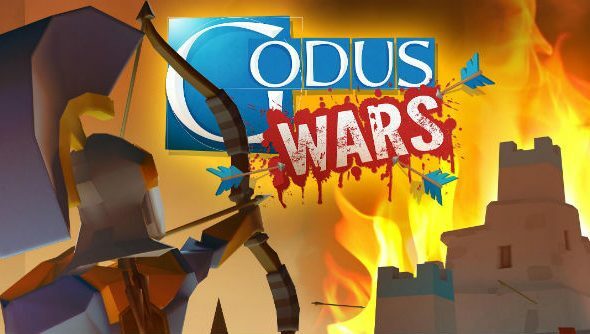 Godus Wars is free for those who already own Godus, yet by purchasing Godus Wars you also get Godus. Which is strange because both still have separate pages on Steam, at the time of writing. In an interview with Eurogamer, Molyneux said the events of February last year made him consider retirement and that the situation was “one of the most bruising moments of [his] life.” He also detailed 22 Cans’ plans to continue developing Godus, adding multiplayer to Godus Wars at some point down the line, and eventually adding Curiosity winner Bryan Henderson as the God of Gods.